Now, fans can tip you for any amount up to $100, right in the RadioPublic app, and it goes directly into your bank account. It’s a frictionless, quick, and simple way to give money to podcasters. Is there a limit on tips I can receive? 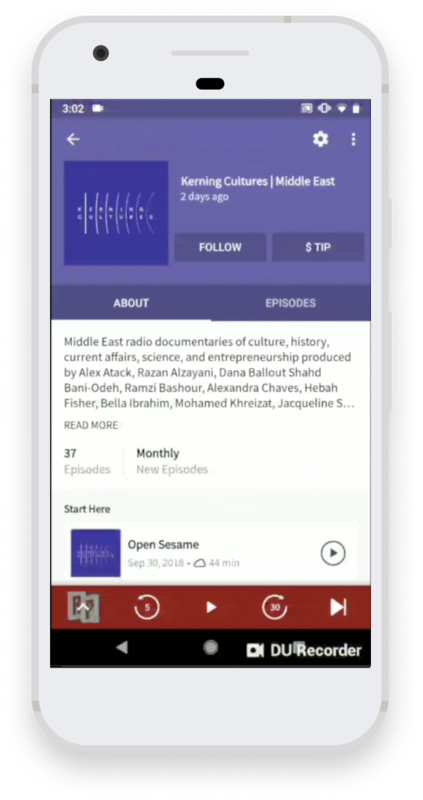 A $Tip button appears on your show page in the RadioPublic app, allowing listeners to tip you directly. The easiest way to explain tipping is to encourage your fans to listen on RadioPublic, both in writing and audibly on your show. Listening on RadioPublic is the first step to helping your audience help you.